Device Vernada Geo – neutralizes the effect of exposure to Wi-Fi router, router, wireless networking, as well as geopathic zones in apartments, offices and other premises, protecting, thus, the people from the harmful effects of radiation. About Wi-Fi networks cause harm to the body already written to foreign media reports, recent studies of Ukrainian scientists confirm these data – see the article. The device should be included in the electrical network. 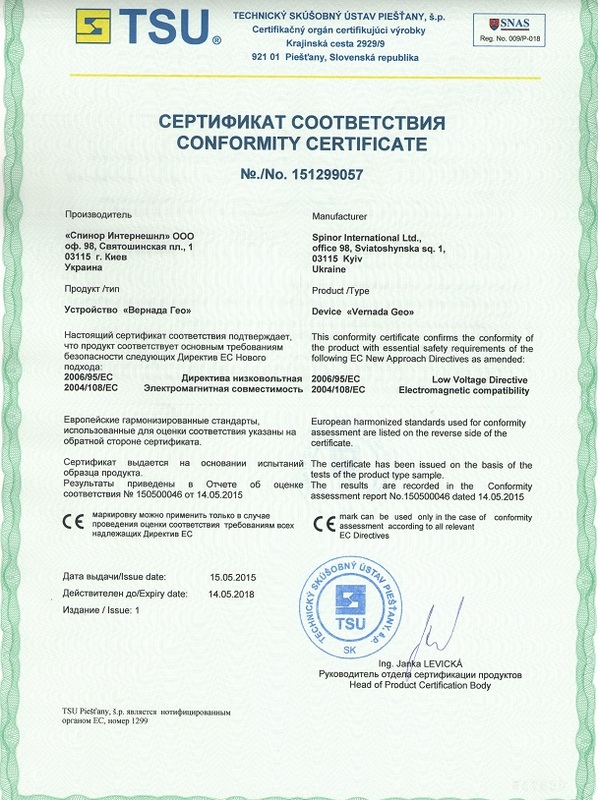 For operation of the device in use “phase” wire network. The device can be included in the network to any outlet in any room, while the device applies to all premises of apartment, office (assuming that they are all connected to one “phase”). The device consists of plastic housing containing the inverter and display system network. While the unit is inversion of the left torsional field phase conductor of the network on the right, which leads to the formation of a new torsion right field, and reaction to this event will be a significant reduction in the level of radiation Wi-Fi and geopathic zones on the territory, which is as a conductor of the power mentioned phase conductor. In connection with the development of the Internet to connect wirelessly to the electronic world wide web is being widely implemented Wi-Fi system. Recently on the Internet there are many articles on the problem, harmful by any Wi-Fi network, and addresses issues not only of the effect of radiation in this case, the human body, but also on trees, living systems. Wireless networks cause irreparable harm to the health of children and adolescents. Note that Wi-Fi operates on the same frequency as the microwave oven (the microwave). For humans this frequency is not so harmless. Published a huge number of studies which proved that Wi-Fi adversely affects the health of mammals, in particular human health. Among the diseases caused by Wi-Fi, most prominently cancer, heart failure, dementia and memory impairment. In the US, UK and Germany, are increasingly abandoning Wi-Fi in schools, hospitals, universities. 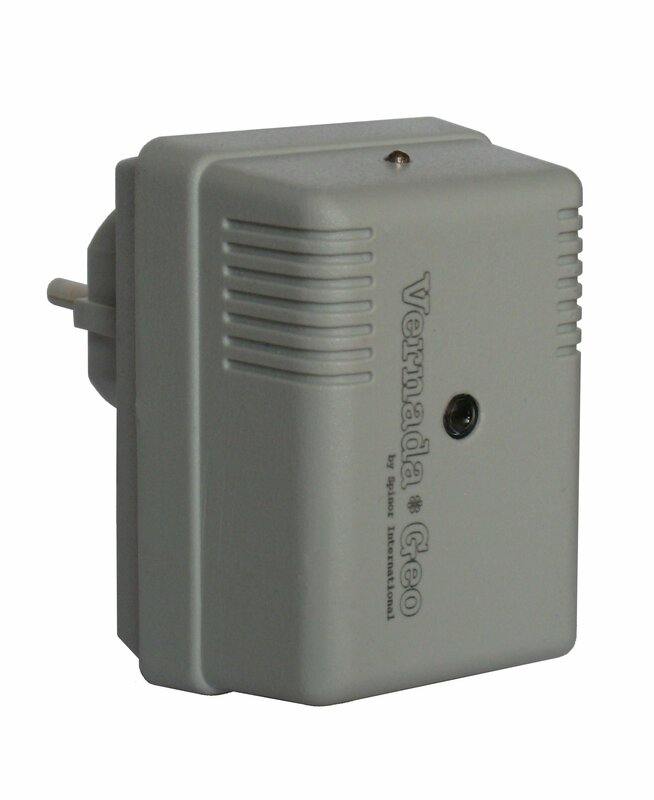 Vernada – Geo eliminates the negative effects of Wi-Fi wherever the device is plugged into an electrical outlet and power Vernada – Geo and wifi use the same phase conductor of the mains. As previously indicated, the device is switched into the network is the inversion of the left torsional field phase conductor of the network on the right, which is equivalent to the formation of a new torsion right field, and response of the Wi-Fi at this event will be a significant reduction in the level of torsionnaya generated Wi-Fi in public areas, which is as a conductor of the power mentioned phase conductor. The world is sufficiently convincing statistics of human diseases for a long time were in geopathogenic zones of the Earth (GPP). These facts require serious study, however, a clear need for the development of a device for preventing the pathogenic action of these zones for biological systems. The usual effect of geopathic zones on the person is evaluated on the status of his health after a long stay in the area. Typically, this is done by survey of affected people and establish the presence of geopathic zones in places of their long stay by the method of biolocation. Such data is collected much. Research of influence of geopathic zones on the person engaged scientists from different countries and different specialties. The main pathogenic zones experts believe global rectangular and diagonal graticule. A rectangular grid oriented to the cardinal points. In our latitudes, the distance between the grids is approximately 2 m in the direction North – South and 2.5 m East – West. The width of the grid lines is approximately equal to 20 cm There is evidence that GPP and their intersections – nodes oscillate with a frequency of 1 month on a cycloid, shifting from its original position on 1.1,5 m.
Long-term human stay in the area of influence of geopathic zones has a negative impact on his health. Especially dangerous long-term stay of the person in places of intersection of these lines. At long stay in a hostile area, the functions of the different bodies more and more upset. People will inevitably get sick. infringements of coronary and brain blood circulation, arthritis, multiple sclerosis. Unfortunately, doctors do not always link these functional disorders influence of geopathic zones, trying to treat patients in different ways, including unsafe drugs. At present, the most simple and reliable way to avoid the risk of serious illness due to exposure to left torsion fields geopathic zones – once a year to change the location of beds in the apartment. 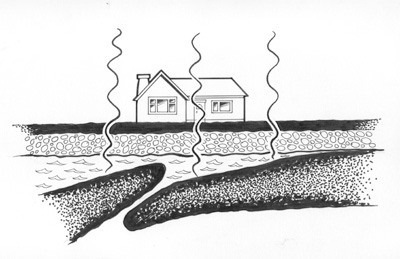 It’s enough as serious violations can occur only after a long stay in geopathogenic zones. The other reliable way to protect yourself from the negative effects of geopathogenic zones is the use of protective devices Vernada Geo.